contains over twenty pages of resources including educational, support and advocacy organizations, books and media. Listed here are select links to some of those resources. ASD Video Glossary at www.autismspeaks.org, www.firstsigns.org, or http://firstwords.fsu.edu. We hope you will recommend the site to your colleagues, friends, and families with whom you work. 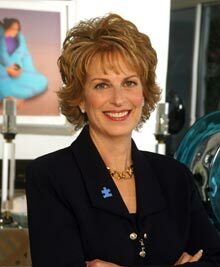 Autism Speaks (www.autismspeaks.org) - Autism Speaks is devoted to educating the public about autism, facilitating and funding research, motivating private and governmental resources, and, ultimately, helping to find a cure for autism. Autism: The Musical (www.autismthemusical.com) Follows five children with autism as they prepare, rehearse, and perform in a musical production. Made by Graham’s father this film explores the family’s quest for a diagnosis and how to best help their son. Exceptional Minds is the first American computer animation studio and non-profit digital arts school for young adults on the autism spectrum. It is located in Sherman Oaks, Los Angeles, California. First Signs, Inc. (www.firstsigns.org) - Dedicated to educating parents and professionals about autism and related disorders. A Pasadena, CA organization of parents, professionals and caregivers, dedicated to providing education, resources and support to the autism community. Lindamood-Bell Learning Processes (www.lindamoodbell.com) - Programs that teach reading, spelling, comprehension, and expressive language. Profectum Foundation (www.Profectum.org) - Profectum Foundation's unique DIR-FCD™ model provides the basis for parents, multidisciplinary professionals and paraprofessionals working with individuals with autism spectrum and sensory processing disorders, emotional and other developmental challenges to identify an individual’s needs and bring to bear the best tools and approaches to help address such needs. The DIR model is used to build the foundational capacities where relationships can support these at every stage of the lifespan and the application of ABA, JASPER, Early Start Denver Model, Lindamood Bell, Social Thinking, adult transition programs, or others as needed. See the website for a list of conferences, webcasts, parent education and parent training opportunities. The Miracle Project (www.themiracleproject.com) - a theater and film arts program for children with special needs and their typically developing siblings and peers. Special Needs Project (www.specialneeds.com) - Books, videos, DVDs, and related items about mental and physical disabilities for parents, professionals, educators, family members, and persons with a disability – especially autism. Serves individuals with disabilities in Los Angeles and Ventura Counties with a range of programs for children, adults and seniors.